Are you a dog owner? Then here’s something else that you gain from your wonderful friend. I was rather short on time yesterday so apologies for cutting my introduction to a minimum. But you will still love this item that appeared on the Care2 site three days ago. If you’ve ever owned a pet, you’ve probably talked to it at one point or another. And even though you may have been fully aware that your pet couldn’t talk back or even really comprehend what you were saying, you still did it anyway. Why do we do this? Why do we talk to our pets like human friends when we know their little minds just aren’t built to think or feel the same way we do? When we talk to our pets, we subconsciously create a human-like bond in our own minds with non-human creatures. We’re built for connection — and we feel more connected to things when we recognize that they’re just like us. Talking to animals (and even to inanimate objects, such as house plants) is called anthropomorphism. We usually call it “cute” when kids do it, but when adults do it, we tend to view it as a little weird and immature. According to behavioral science professor at the University of Chicago and anthropomorphism expert Nicholas Epley, talking to animals and objects is actually a sign of intelligent social cognition. Humans are very social creatures, so our brains are wired to see faces and perceive minds everywhere. Epley explains that we anthropomorphize the things that we love as opposed to the things that we hate. The more we like something, the more likely we are to want to engage with its mind — even if it doesn’t actually have a mind. In a 2011 study where a group of participants were shown photos of baby animals and adult animals, most admitted to liking the baby animals better and were more likely to anthropomorphize them. If the participants could own one of the baby animals, they said that they would name it, talk to it and refer to it by its appropriate gender pronoun. The most common way we anthropomorphize animals and objects is by giving them names, but it can apply to character traits, too. For example, a person may describe their cat as “sassy” or their car as a “rickety old man.” These human-like character traits given to non-human things reflect our relationship with them and perhaps even symbolize extensions of ourselves. Anthropomorphizing only benefits us when inanimate objects are involved, but when it comes to anthropomorphizing domesticated animals like dogs and cats, both ourselves and our pets can benefit. Since these animals evolved over thousands of years to become human companions, they are biologically designed to bond with us. Studies have shown that when we talk to dogs, they can distinguish between the meaning of the words and the emotional cues we give them. Cats may not be as responsive to human language as dogs are, but they do have the ability to recognize their owners’ voices and they also have 16 different types of vocalizations they use to communicate. So you can let go of the widely held belief that talking to your pet, your houseplants, your car or anything else is childish or even a little bit crazy. From a scientific viewpoint, it turns out that quite the opposite is true. Let me close by reminding all you good people of yet another wonderful aspect of the relationship between humans and dogs. In that we all know the dog evolved from the grey wolf. But had you pondered on the fact that wolves don’t bark! Yes, they howl but they do not bark. There is good science to underpin the reason why dogs evolved barking; to have a means of communicating with us humans. Every person who has a dog in their life will instinctively understand the meaning of most, if not all, of the barks their dog utters. Natalie exploring the meaning of peace. I talk to Mags quite a bit. She is a great sounding board for my writing. Excellent share, Paul! Nice one, Paul. My only quibble with Ms. Moreau would be about the feeling silly talking to a pet. I talk to my dog all the time and know how very much she understands. I think the people who consider it silly are those who don’t own a pet and don’t realize how much the animals understand. They are on the outside looking in. Tony, I agree with you. There were a couple of points where I thought she was wrong about dogs. For instance, the bond between humans and dogs is nothing to do with biology. But it is everything to do with the evolution of the psychological relationship between us and dogs. Each species is psychologically bonded to the other. Jean and I would agree wholeheartedly with you! But on top of that, I would like to offer a very welcome to you and thank you for calling by. I not only talk to our dog, but everyone else’s, plus ducks, birds, geese, bees, anything really. I always have so this post was right up my street! Reminds me of that lovely saying about the best conversations are always with oneself! And the animals around us!! Delighted to welcome you to this place. Thank you for dropping in. Since everything is pure energy in different form, I have no problem communing with all things. I think plants understand whether you are approaching with a loving nature or one of destruction. My first dog, Blossom, could understand what anyone was saying. I had a neighbor that would come by but once he commented on how silly she looked in her pink bows fresh from the groomer, Blossom tucked in the nub of her tail and crawled behind the table where she couldn’t see him. He was so surprised when I said he’d hurt her feelings. There was nothing I could say in the house that dog didn’t understand and she actually tried to mimic speech. She would move her mouth and try to make our sounds. My last dog understood everything but didn’t try to speak. They also feel your energy. Very intuitive. I’m glad to read that doesn’t make me crazy. 🙂 Thanks for that. Including the fact, as in a scientific fact, that only two species exhibit ‘left gaze bias’. Humans and dogs! The closeness of dogs and humans is so obvious and, in a very real way, hardly surprising when you think that for 50% of the evolutionary time span of us humans, around 200,000 years, dogs have been with us for half that time. Halfway through your book and enjoying it. Just my two cents worth. I didn’t grow up with dogs and have only had 2. I miss them as they were both family. I’ll be inheriting my sister’s when she is gone most likely. Keeping that option open. No subtlety required. I always do reviews. 🙂 Honest reviews. I’m enjoying it immensely. Just finished listening to “A Man Called Ove” and as odd a book as it was, I loved it. I have to listen to more books than I read anymore. 😦 But at least that’s an option. 🙂 Kindle makes life so easy for us readers with limited vision. This is sweet. And yes, I anthropomorphize the crap out of my two babies! See, I did it again! >D I am glad to find out that my dog and cat get something out of my gibber-gabber towards them. Wonderful. Both for your lively comment and for dropping in to see this place. Thank you! Great post. – thanks for the study links, too. Neuroscientist Jaak Panskepp (aka “The Rat Tickler”) won’t go so far as to say that animal cognition is similar to our own, but his 30+ years of brain-based research clearly indicates (I’d say “proves” but he wouldn’t) that they share our core emotional make up. Madeline, drop me an email to paul@paulhandover.com with a postal address and I will put a copy of my booklet in the mail to you (FOC!). For it has the latest scientific findings on dogs and include the links to published research materials. How generous of you, Paul. Thank you SO much. If you are interested, I’ll email you some links to a few of Panksepp’s interviews (or the mp3s) – pdfs available as well — unless you are already a fan of Dr. Ginger Campbell’s Brain Science Podcast and Books and Ideas and already have heard them. Let me know. btw – I will be out of town until Thursday and my mailbox is smaller than my mail carrier seems to have noticed, so I’ll wait until my return to email you my address. Yes, we know about that as well!! Tee-hee! Know exactly what you mean. Welcome to this place! I do not have a dog but I do talk to my cats! Just as good a conversation as one has with a dog! Lovely to meet you and welcome! This was so interesting to read. I love it when I talk to my dog and he shows me his understanding with his actions. There is nothing like it. Kristina, A very warm welcome to you as well. There’s no question about the high level of understanding between a dog and a caring human. Both species have evolved, over thousands of years, a degree of mutual communication that is unparalleled elsewhere. My cat Lena and I carry on whole conversations, but the problem is she always has to have the last word, and she never shuts up to the point where it gets annoying. We boarded her at our vets when we went on a ten day trip. She was yowling from the cage when we left, and when we came into the vet’s office ten days later, we could hear her talking up a storm. I said to the vet, “I hope she didn’t keep this up the whole time we were gone,” and his answer was, “She is pretty vocal.” The next week, he stopped boarding cats and dealt only with dogs. This is not a funny anecdote, it is the unvarnished truth! We have three ex-rescue cats here, originally from the streets of San Carlos, in Mexico, down from seven when we moved firstly from there to Payson, AZ. Thankfully they are usually pretty quiet. Anyway, thank you, and a very warm welcome to this place! Great post! I always talk to my dogs like they are humans. My dogs coincidentally have human names. I was outside talking to them one day and a stranger walked up laughing and said “I thought you were talking to your children!” Well, they are my children! My Jeannie has never had kids and she says the same thing. That all the dogs that she has cared for have been her children. 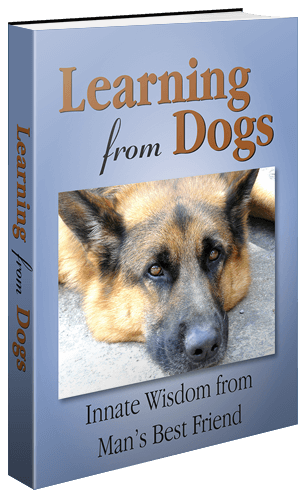 You will also understand perfectly as to how well your dogs understand what you say to them. Our dogs know when a television programme is coming to an end around evening walk time and start heading towards the front door! Lovely! Many thanks for visiting this place and a very warm welcome to you.